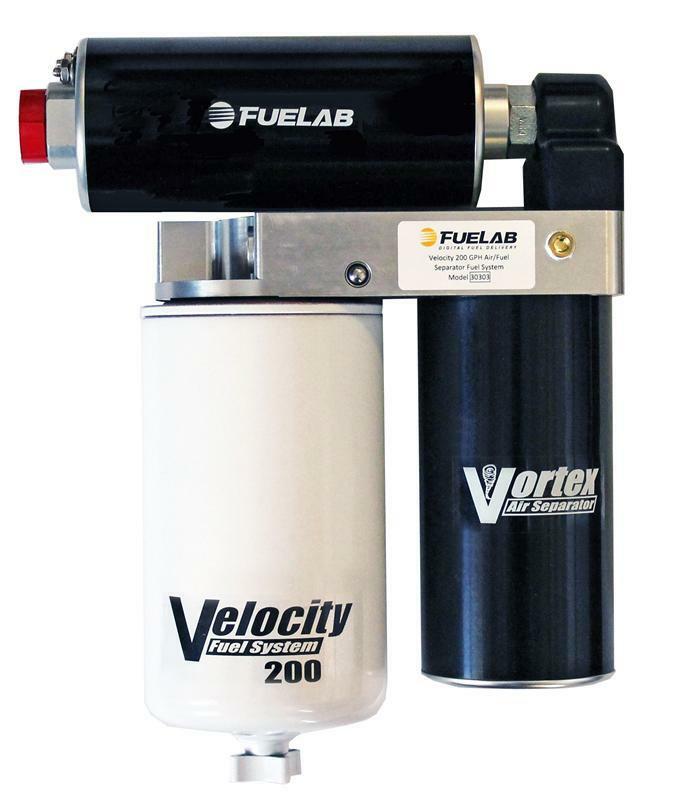 FUELAB Velocity 200 Air/Fuel Separator Fuel System UNIVERSAL - Dezod Motorsports Inc - Home of the automotive performance enthusiast since 2002. 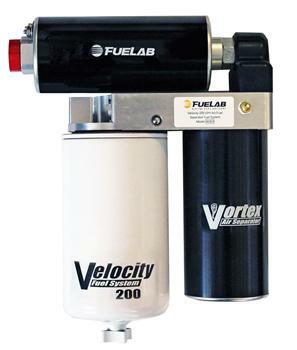 The most advanced diesel lift pump system available on the market today. Includes a speed controllable dc brushless pump, Vortex Air Separation technology, and fuel filtration with water separation to provide pure diesel fuel to the injector pump for optimal performance.